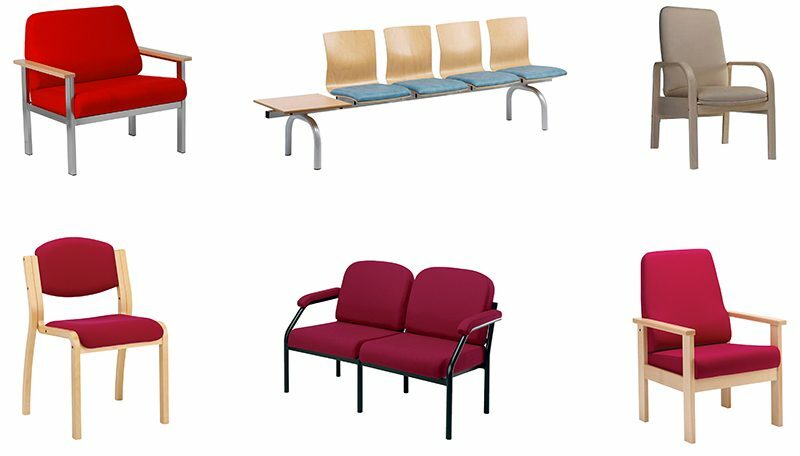 We reupholster all types of hospital seating including specialist chairs and provide a highly cost effective service to hospitals, surgeries, dentists and care homes in London and across the South East. We transform chairs that may have been considered beyond repair and have expert knowledge of antimicrobial fabrics (often insisted upon by infection control), fire retardancy, and stain resistance. We regularly provide reupholstery services to NHS trust customers within London, Berkshire & Surrey. We can fabric match existing chairs or advise you on alternative fabric choices for a fresh new look. We offer a free collection and delivery service within 50 miles of Reading in Berkshire and generally work to a 7 – 10 day turnaround. In some cases its not practical or feasable to remove seating, our highly skilled craftmen will repair, renovate and reupholster onsite with minimum disruption and leave your seating looking as good a new. Please let us know if you require any heathcare references, we’d be happy to oblige. Our healthcare reupholstery clients include: Mount Vernon Hospital, Stoke Mandeville Hospital, High Wycombe General Hospital, Horton Hospital, John Radcliffe Hospital, Broadmoor Hospital, Prospect Park Hospital, St John & Elizabeth Hospital, Queen Elizabeth Hospital and many more.